Hi, long time no see! I'm hoq. 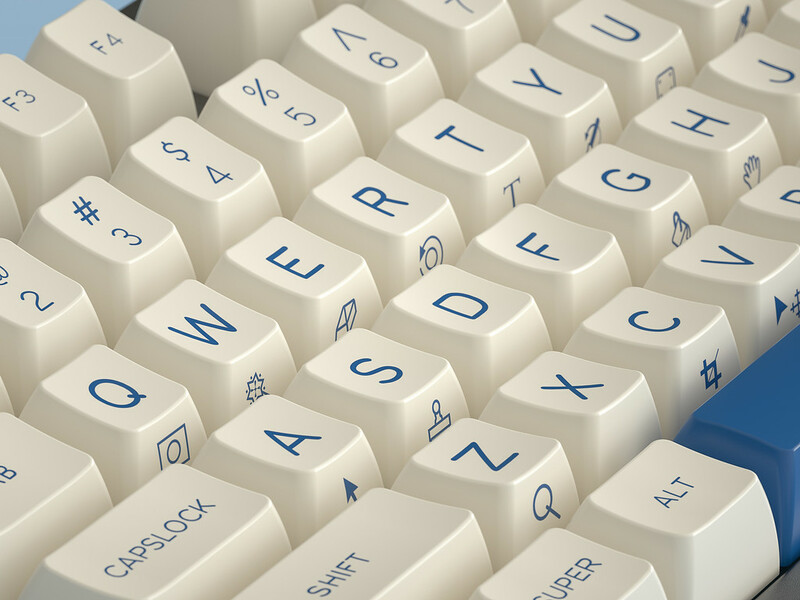 I'm planning to run a new group-buy of SA keyset today. 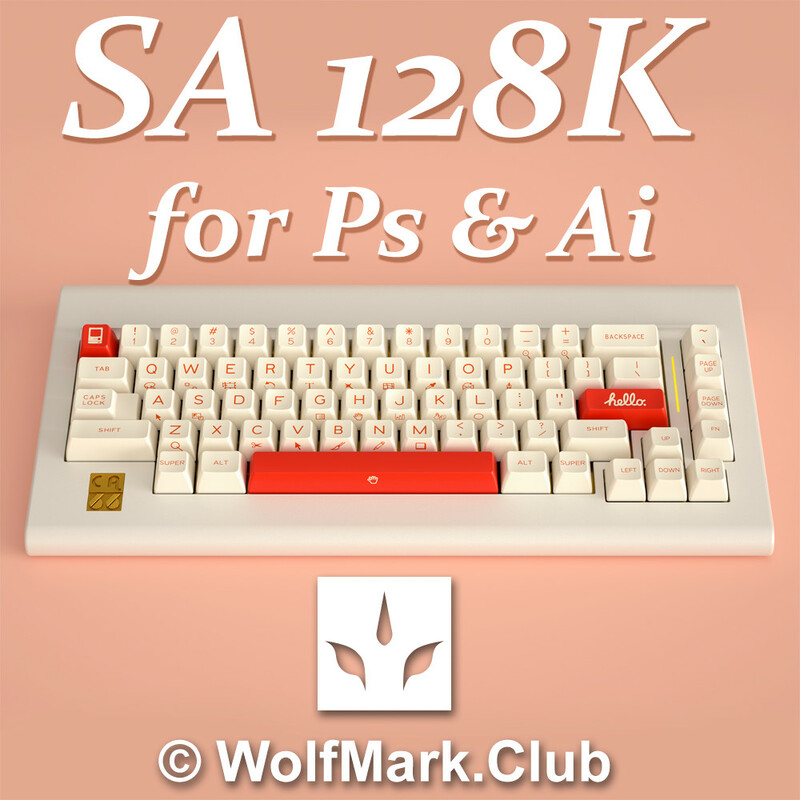 It's called SA 128K and inspired from Photoshop and illustrator keyboard short-cup map. Please fill the google form and after the GB I will send you a Palpay invoice, which including keyset price, estimated shipping fee. 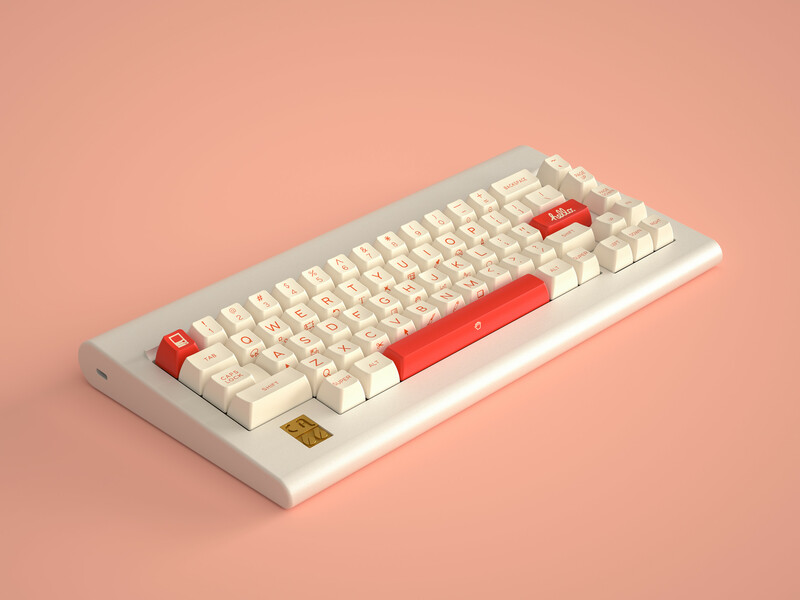 I assume it will be made in Dec. this year and ship to you in Jan or Feb.
Before I ship out the keyset ,I 'll contact you one more time to confirm you new address. But, little group-buy orgnizer like me , all that I can do is to collect money after group-buy and pay to SP to see when there will have a slot for me. How long is the GB period? It will be end about 20th this month. After I got some users feedbacks, I decide to change the white color of Ps kits from WFK to WCK. and WCK looks more vintage and more comfort for use. *left white color chip is WFK and the right is WCK. 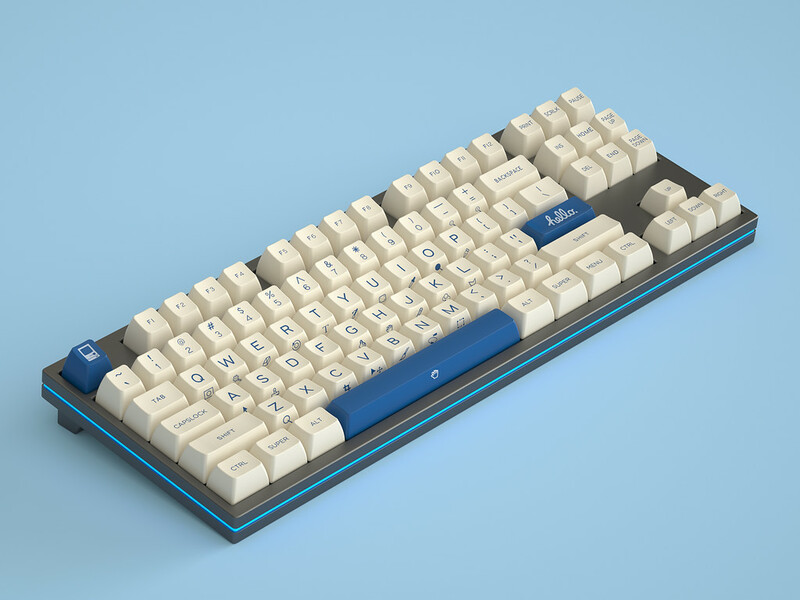 I comfirmed with SP that color changing doesn't affect the pricing, so WFK ->WCK is totally ok.
here are the new renders of Ps keyset. If you don't feel like this modification of white color , you can modify you google form which you filled, or contact me to change or cancel your order, Thanks. Looks classy, definitely need one of these. I love GMK, too. But I 'm not quite know how to contact GMK company to run a group-buy. and also because of the high MOQ requirement , GMK is very hard for me to organize a small and private group-buy. 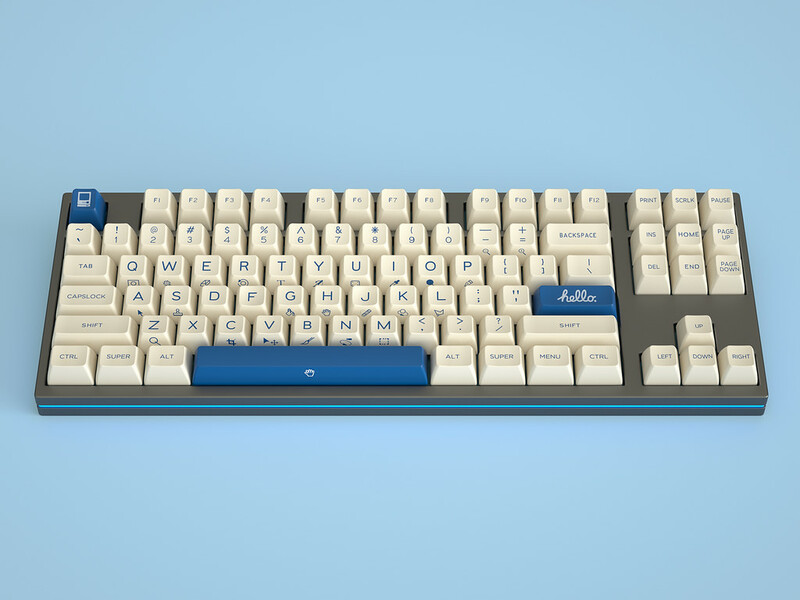 But I think one day if I have a good design which is suitable for GMK, I would like to have a try. As group-buy is going , I updated the group-buy prices as below. PS base and PS numpad is near MOQ75, I think it's no problem to hit the MOQ price before the end of group-buy. but the MAC kit seems the high price made it hard to meet the MOQ. Just joined for the Ai set! Nice work on this set, and if there's a GMK set in the future I'll be all over it! kit 2 is almost 150. YESSSSS. Yes , Kit 2 has hit the MOQ150 now. Wow, thanks so much bro . 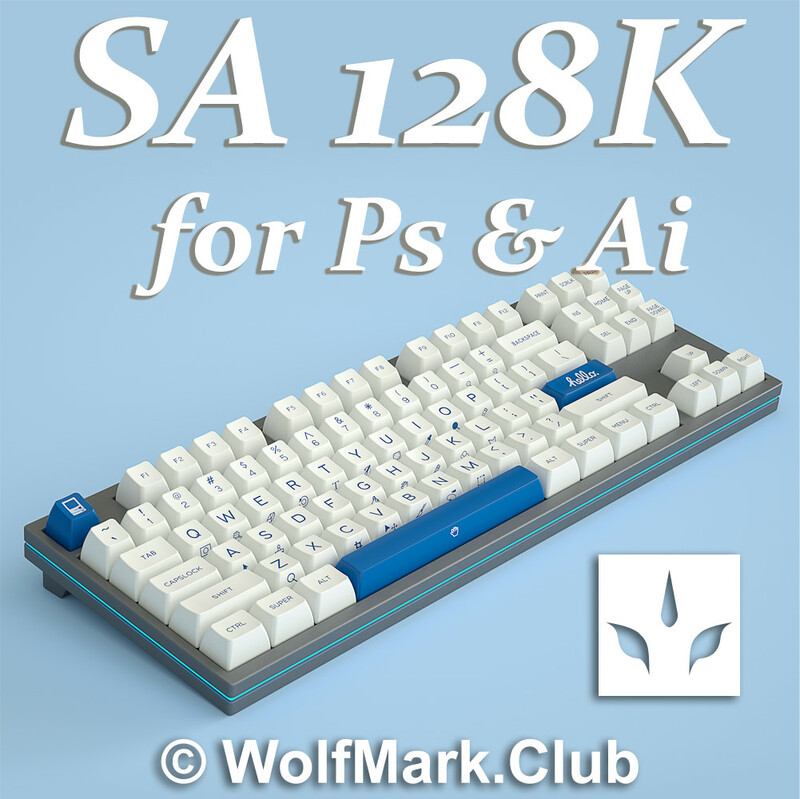 Re: [GB]SP SA 128K keyset (18th Mar.update) Last 3 days! The GB will close soon! So sad that Mac Kit didn’t make it. Invoices have been sent out today, don't forget to check it out. Thanks you for your supports, espicially Viet Nam and Korea bros! Without your supports, I can not make this design succeed! 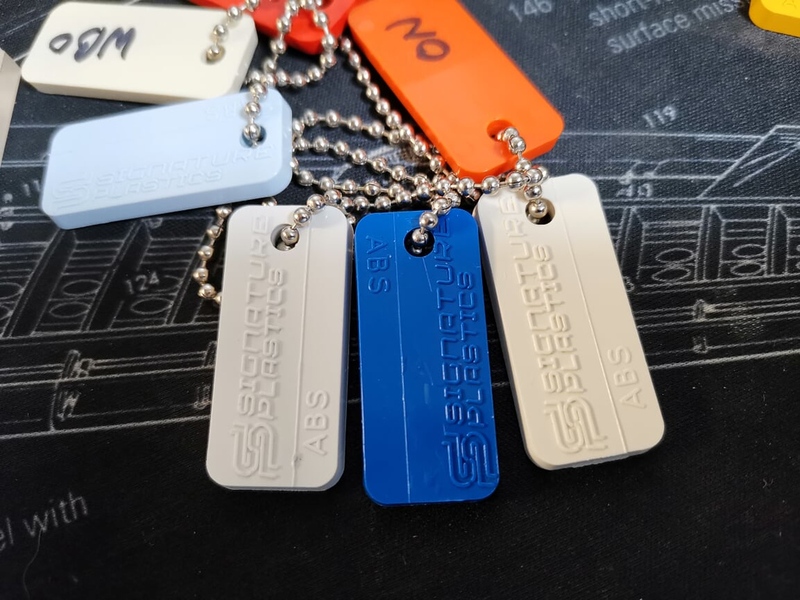 I have paid to SP and they tell me the estimated shipping date is end of October, so, I'm very likely to ship to you in November. Page created in 0.091 seconds with 54 queries.